In parallel to a sweeping structural reform agenda, Mexico announced in 2013 a new approach to housing and urban policy. Calling for a more explicit qualitative focus on housing and the urban environment, the policy shift is a welcome development. 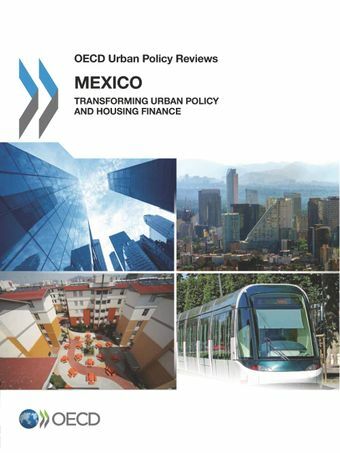 Mexico urbanised more rapidly than most OECD countries in the past half-century, in part as a result of the expansion of housing finance led by INFONAVIT and facilitated by policies aiming to expand access to formal housing. Yet the quantitative push for formal housing came with quantitative costs: inefficient development patterns resulting in a hollowing out of city centres and the third-highest rate of urban sprawl in the OECD; increasing motorisation rates; a significant share of vacant housing, with one-seventh of the housing stock uninhabited in 2010; housing developments with inadequate access to public transport and basic urban services; and social segregation. How can the Mexican authorities “get cities right” and develop more competitive, sustainable and inclusive cities? How can they improve the capacity of the relevant institutions and foster greater collaboration among them? How can INFONAVIT ensure that its lending activities generate more sustainable urban outcomes as it also fulfils its pension mandate and help Mexicans save more for retirement? Better housing policy for Mexico: What role for INFONAVIT?